I became the lead designer on this project and worked closely with the technical and marketing teams to provide wireframes, UI mocks, interactive prototypes and UI patterns. I performed field studies and evaluative testing with users. I also collaborated with off-site developers to ensure that the shipped product matched user needs. After the initially hired designer had left the company I was tasked with continuing the work of building the application interface, making it more usable, as well as more presentable for next round of investment and ultimately bringing it to launch. 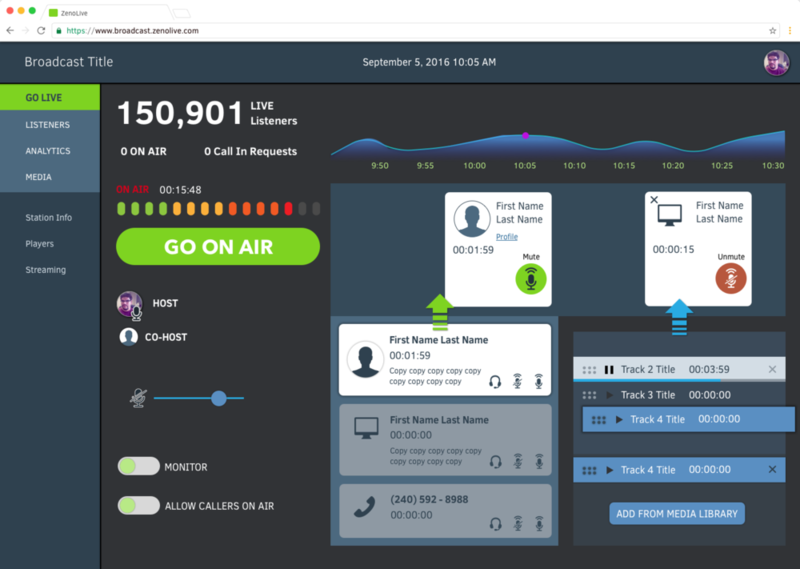 The ZenoLive dashboard was a new product for ZenoRadio, a company that was already supporting broadcasters to get their programming out to more listeners through dial-in distribution. Having a fully equipped functioning radio studio on-site tremendously helped and informed my research work and simplified all field sessions with users. Through (studio visits and contextual interviews), I was able to identify key areas where the existing UI had usability issues. Log in screens, with some error state options. Once logged in user must create a profile, before being able to open the console. Off Air console state, initial view. 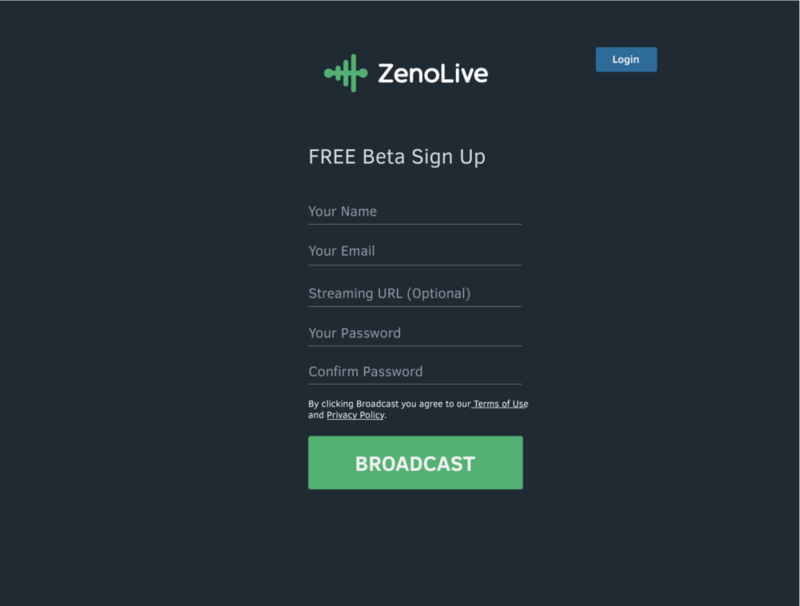 Managing both On Air callers and audio content becomes easier, since the ZenoLive platform brings all elements into one interface—allowing broadcasters to easily see who and what is in queue to go on air. This eliminates the need to use conference calling and switch through one or more different external applications. On Air state with multiple listeners, live dashboard data and sound tracks added. This is what a live show would look like. On Air callers have different ways of getting in touch. ZenoLive aggregates the data on repeat callers making screening easier and listening patterns clearer. On Air state, with listeners’ data page. Independent broadcasters wear many hats in their practice and are also producers and station managers. They need to be able to review their shows and understand the trends. 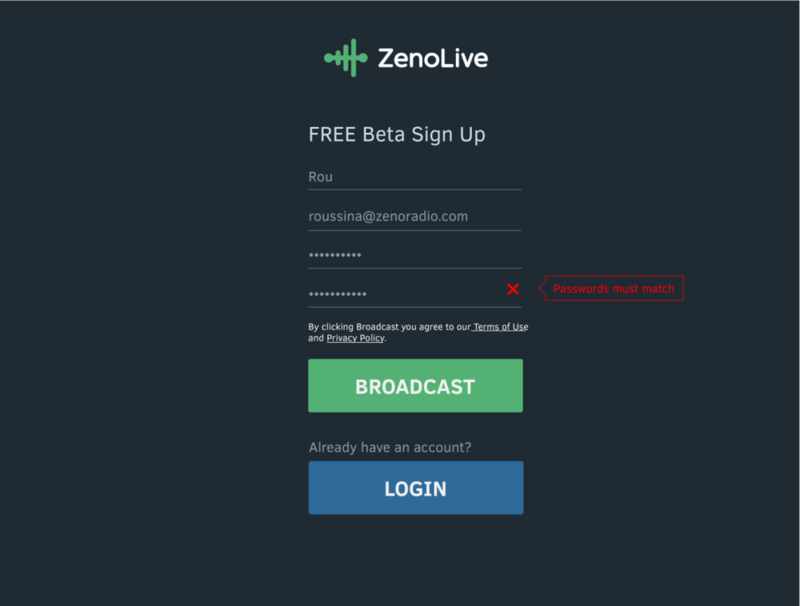 ZenoLive helps directly match listener stats to content of past shows. Listeners and broadcast data page. 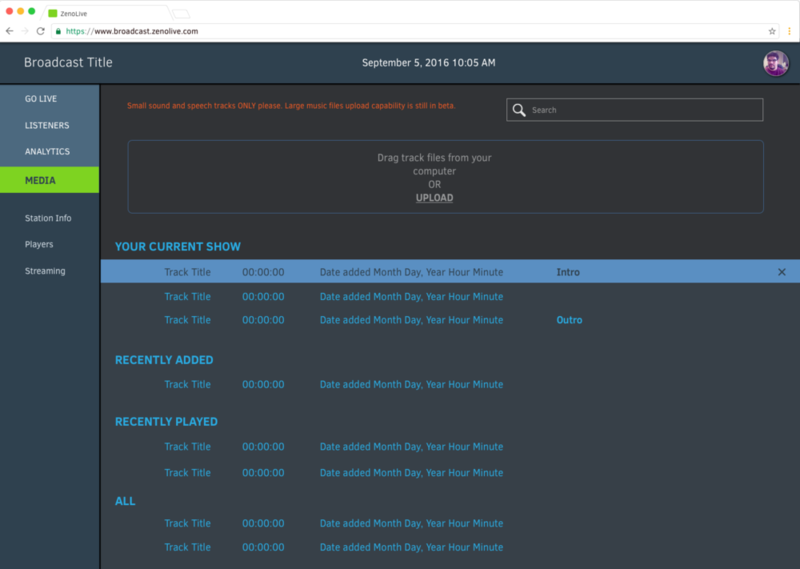 Streaming page, with track management feature, named AutoDJ. Ultimately, I was able to make a more user-friendly, more inviting desktop interface for this multifunction and feature-rich dashboard, with improved functionality. 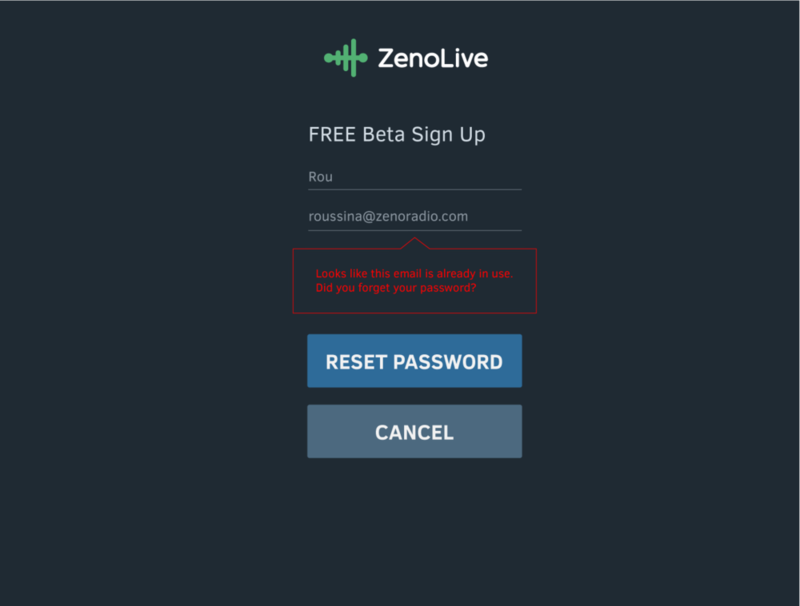 In addition, this initiated a more consistent UX involvement in the process of updating the ZenoLive mobile audience app. 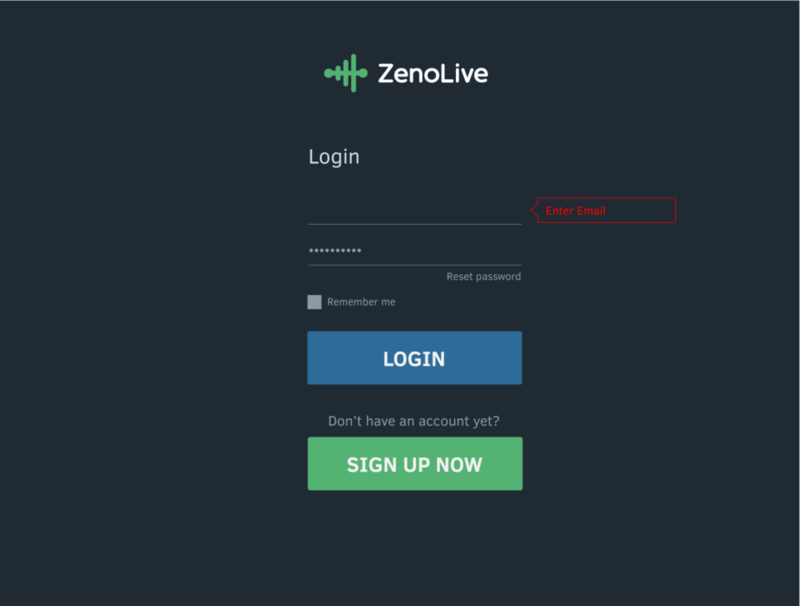 ZenoLive officially launched on February 18th, 2016.